In the world of IoT (Internet of Things) recently attracting much attention, Trillion Sensors (TSensors) Initiative has been making remarkable progress with the vision toward Trillion Sensors Universe where trillion sensors are connected to network to solve the global problems such as No Hunger, Medical-/Health-Care, No Pollution, Disaster Resilience and Clean Energy to All. TSensors as well as Industrie 4.0 and Industrial Internet has been enabled by remarkable growth of MEMS & Sensors in the last decades. Japan has been faced with problems of aging society, aging infrastructure and sustainable environment as a front runner in the world in its position of finding out the unmet solutions. MEMS are playing an essential role to create new models for those solutions with the unrivalled features of MEMS sensors and wireless sensor network to be applied in broader areas. Printed Sensors are also expected to provide wider range applications including hybrid with MEMS. The latest information on the TSensors movement will be presented as well as the challenges for the future development will be discussed. 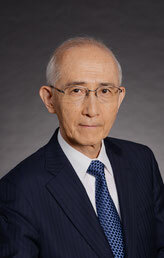 Susumu Kaminaga He graduated from the University of Tokyo in 1969 with Mechanical Engineering degree and joined Sumitomo Precision Products Co., Ltd.(SPP). He lived in Germany for six years from 1981 and in U.K for 4.5 years when he played a major role to develop and commercialize Deep Reactive Ion Etching (DRIE) technology based on Robert Bosch patented process at the SPP acquired UK company in 1995 for the first time in the world. The DRIE became the key technology for the remarkable growth of MEMS. He was President of SPP from 2004 for 8 years and further developed MEMS related business worldwide. He is currently Executive Senior Adviser of SPP Technologies Co., Ltd. and has been involved with Trillion Sensors Initiative activities which started in US in 2013. He is Fellow of JSME (The Japan Society of Mechanical Engineers) and a member of JSAP (The Japan Society of Applied Physics), IEEJ (The Institute of Electrical Engineers of Japan) and IEEE (The Institute of Electrical and Electronic Engineers). He is Vice Chairman of MEMS Engineer Forum (MEF) since the first one held in 2009.